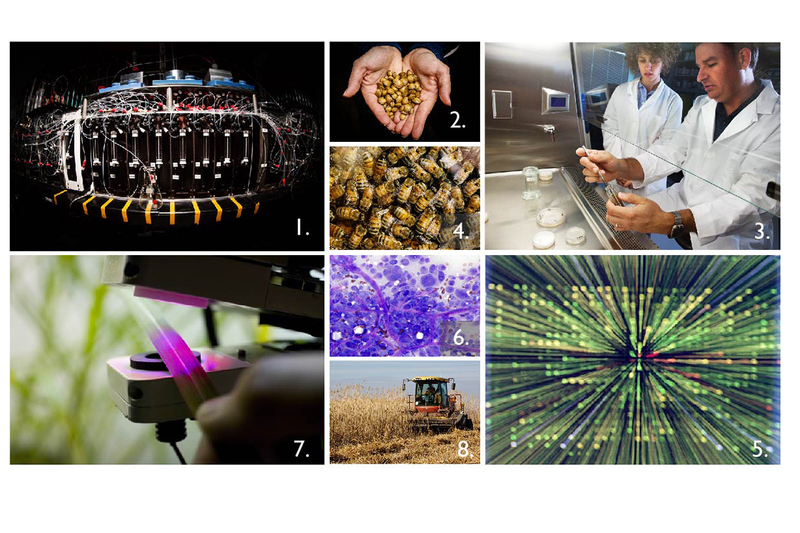 Illinois scientists are making advances in pharmaceutical chemistry (1); tracking invasive species (2) and emerging diseases (3); understanding pollinator biology, behavior and population status (4); exploring genomics (5); developing new imaging techniques (6); improving photosynthesis (7) and developing and harvesting biomass for bioenergy production (8). CHAMPAIGN, Ill. — Illinois scientists are helping power plants run more efficiently, designing better, longer-lasting batteries, finding new ways to target cancerous tumors, and developing robots that can aid in construction, in agricultural fields and even inside the human body. And that’s just in engineering! 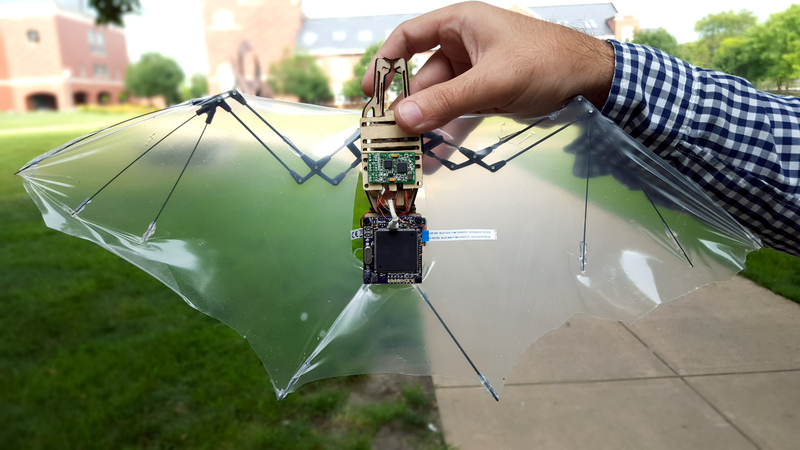 Illinois researchers are working to build a biologically inspired robot with the characteristics of a bat that will be able to supervise construction sites, make deliveries and perform other airborne tasks. Elsewhere at Illinois, researchers are boosting agricultural yields to feed a hungry world, exploring the links between nutrition and intelligence, discovering how land-use changes affect animal populations, and finding new ways to overcome the defenses of pathogenic bacteria and agricultural weeds. 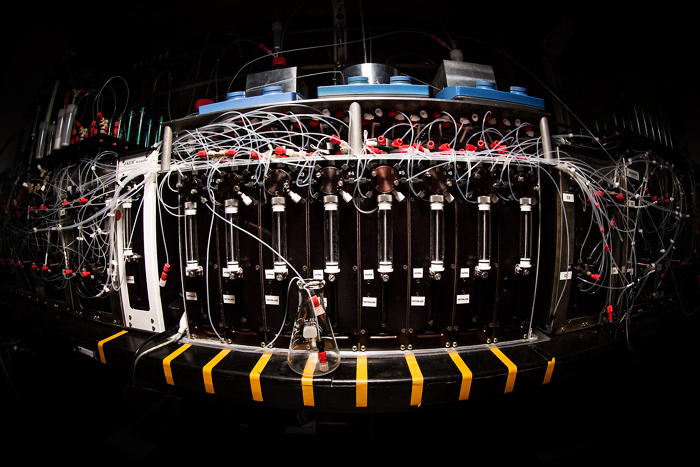 Scientists at Illinois have developed a molecule-making machine that is speeding the process of pharmaceutical delivery. Chemistry professor Martin Burke was working to synthesize complex chemical structures when he realized it would be easier to assemble them from simple chemical building blocks. His molecule-making machine is speeding up the process of pharmaceutical discovery. 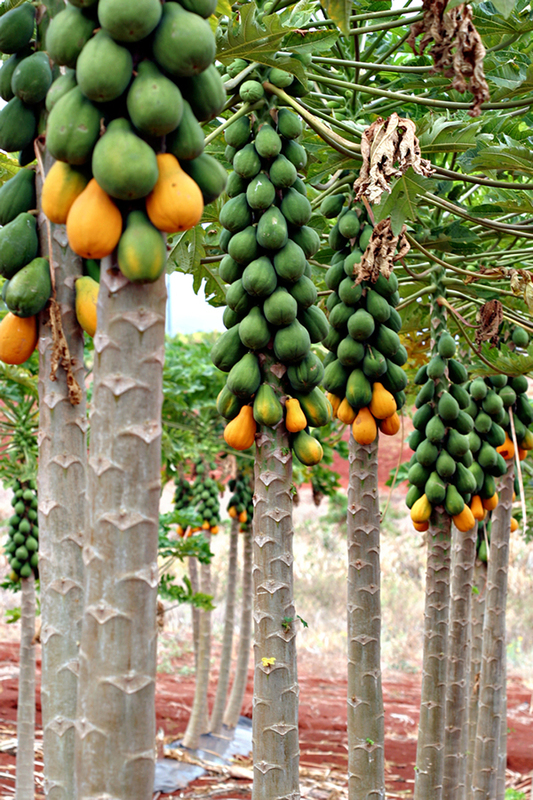 Understanding papaya sexual reproduction allows scientists to enhance papaya production. 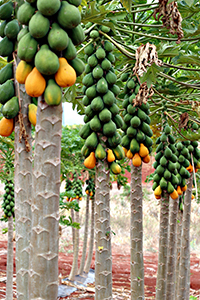 Plant biology professor Ray Ming conducted basic research on papaya sexual reproduction and found a way to alter the plants to increase yields of commercially viable fruit. Kevin Jackson, a senior research scientist at the Beckman Institute for Advanced Science and Technology, is applying approaches developed to treat military personnel with head injuries to concussed athletes. Atmospheric sciences professor Don Wuebbles and his colleagues are using their expertise to observe and predict climate trends in the Midwest and across the U.S., information that is vital to preparation for an uncertain future. Research in the social sciences is also improving people’s lives. Social scientists are tackling poverty in Arab countries, discovering barriers to health among Latino populations, and exploring the long-term effects of drug use among adolescents. Stories about how Illinois research benefits the region, the nation and the world are a daily occurrence at Illinois.